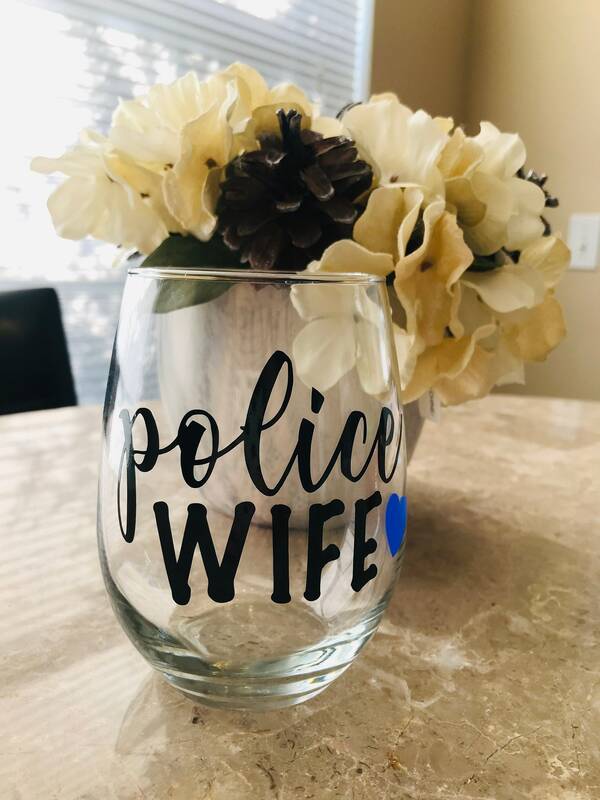 Last week I shared some of my favorite gifts for the officers in my life, so I figured it was only fair to also share some of MY personal favorite blue gifts! Just like last time none of this is sponsored or affiliate, and I’ve personally ordered many of the products shared below. Whether you’re looking for something to email to your officer (hint, hint), a gift for a fellow blue sister, or just something special to treat yourself with, I hope you find some inspiration here! Okay, it should be no surprise to anyone that this is on here. This is one of my favorite LEOW-owned shops and I love the hat I ordered from them way back at the beginning of this year. I’m about to order the monogrammed one for Christmas-it’s still so cute and is a more subtle way to show my support! Bonus: there’s typically a discount code when you sign up for their emails! The other week I showed yall the new sweatshirt (coffee/mascara/holster) I ordered from this shop and I couldn’t love it more! It’s super cozy and soft and shipped really quickly. Their site has dozens of cute designs to chose from in tank, tee, and sweatshirt form-good luck choosing! Their holiday collection (like the shirt above) is perfection. Bonus: use the code “ammo&grace” for a discount on your order! I’ve had the cropped version of these for months now and wear them both to exercise and as normal leggings when running errands. I wear mine so much that I’m ordering the full length pair for these colder months. They’re sturdy and comfortable and fit my gun (I carry a Glock 43) perfectly. There’s an option to carry front or back and they have tons of different colors and styles available. Yes please! I know I just raved about my hat…but these coffee cozies are the cutest. They’re the perfect stocking stuffer or Secret Santa gift, and who doesn’t need something to keep their hands and coffee warm this time of the year?! I’m ordering a couple as holiday gifts for some of the special LEOWs in my life-shh. I love the simplicity of this shirt-so cute and quietly shows blue support! I personally don’t really wear any police wife apparel out and about because I don’t feel comfortable doing so-that’s just my personal preference. I love that this shirt is meaningful but also doesn’t scream “police wife” like some cute items do. 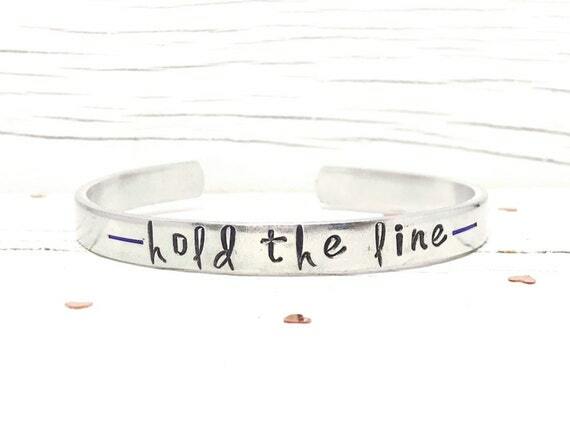 This shop owner is a fellow LEOW and makes the most incredible hand stamped jewelry! She has several blue support pieces as well as a hilarious profanity collection AND she can take custom orders. These are the perfect pieces to order for a blue sister or personalize for yourself! YOU GUYS how perfect is this?! I love cute mugs and glasses and this is the perfect addition to my cabinet. She also makes glasses and tumblers for fire wives and allllll the holidays. Eat drink and be merry! Bonus: use the code “AMMOGRACE” for a discount!